What is the essence of being a woman? The true essence of a woman lies in her traits of who she is as a person, what she has to offer herself and to the people around her. Feminine, masculine, bossy, innocent. Most important of all. FREE. 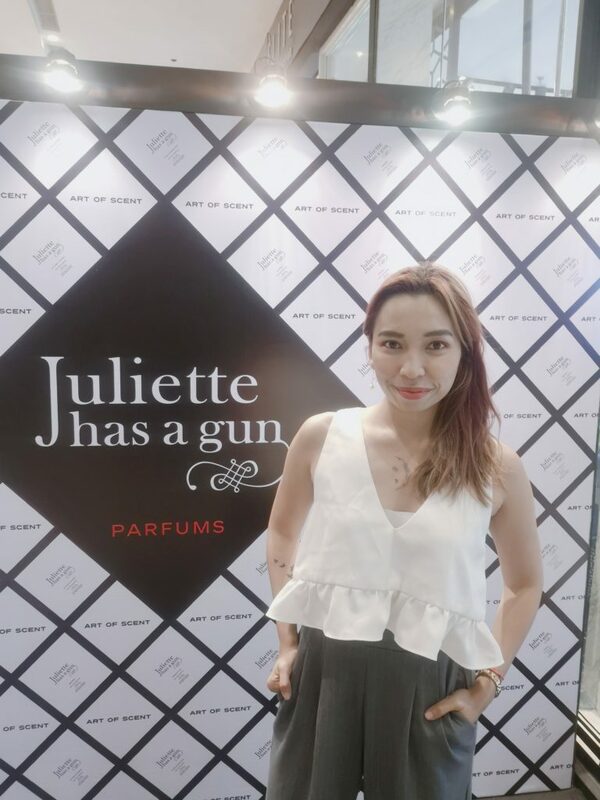 That is what inspired Romano Ricci to create famed niche perfume brand JULIETTE HAS A GUN, which is now available at Art of Scent in Shangri-la Plaza Mall. The gun is a metaphor for her perfume, a weapon of seduction. Juliette our romantic heroine, who follows no rules and lives by her freewill. 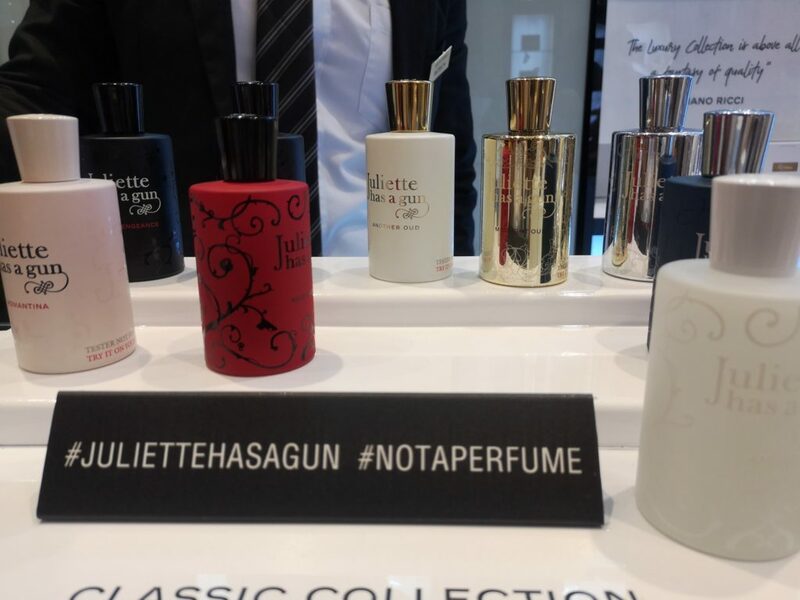 Juliette has a gun is a modern and edgy niche fragrance collection dedicated to women, willing to open a new type of elegance in the niche perfumery world. 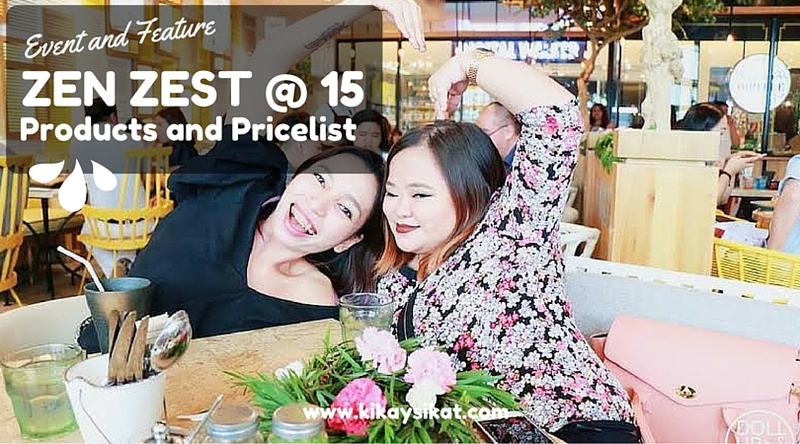 Together with other guests from the press, bloggers, vloggers, and influencers, we were graced with the presence of Caroline Tronel, manager of APAC for Juliette Has A Gun. Caroline told us the story of the brand. 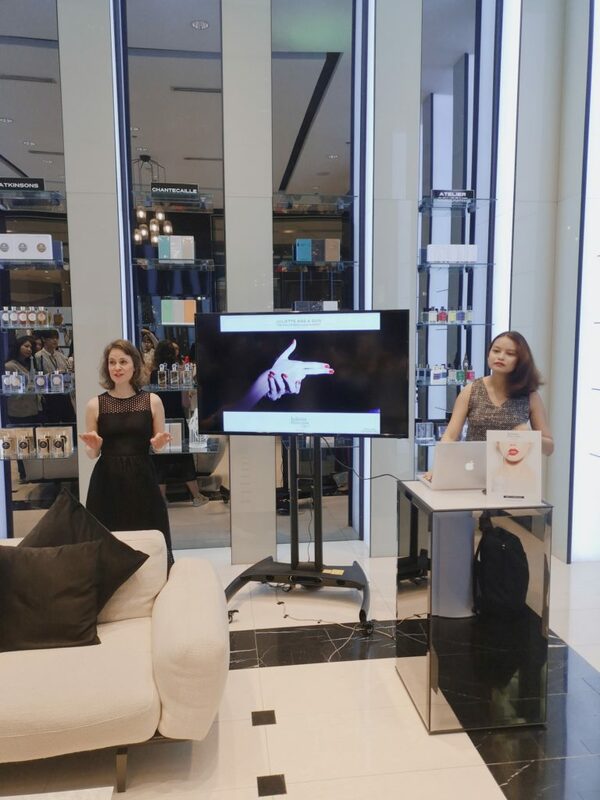 Each bottle of perfume is to be worn depending on your mood, purpose. 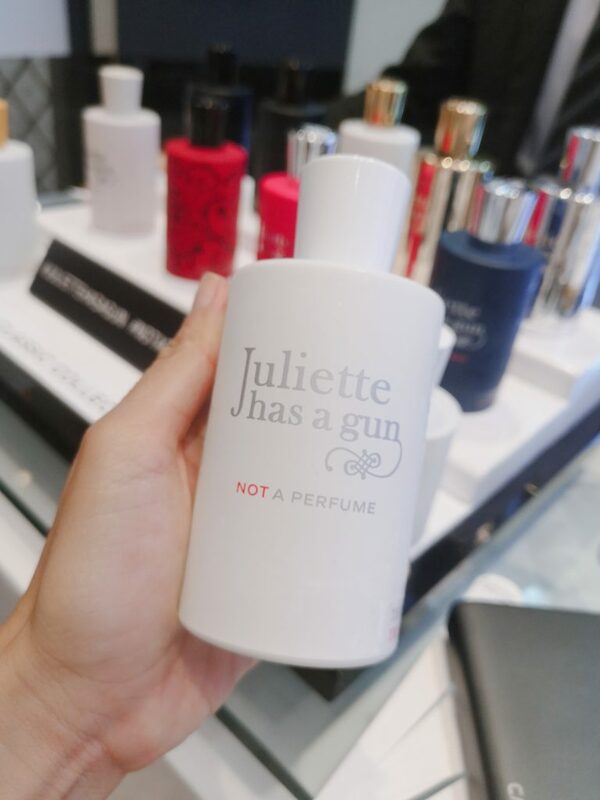 Juliette Has a Gun is your weapon of scent. 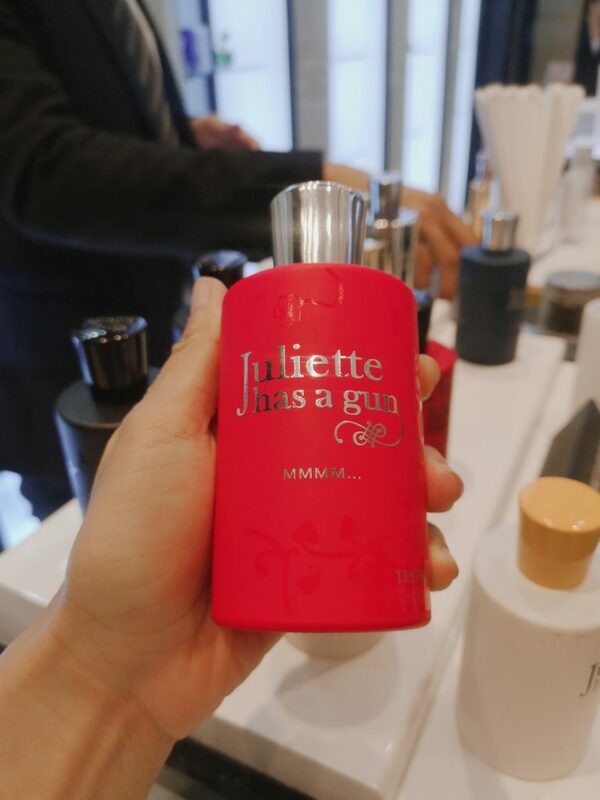 Juliette has a Gun currently has a collection of 13 fragrances, a Universal Purse Spray in the shape of a bullet and a collection of 3 candles. Stay tuned for more (think, everything Not a Perfume). Curious to now what my top picks are? 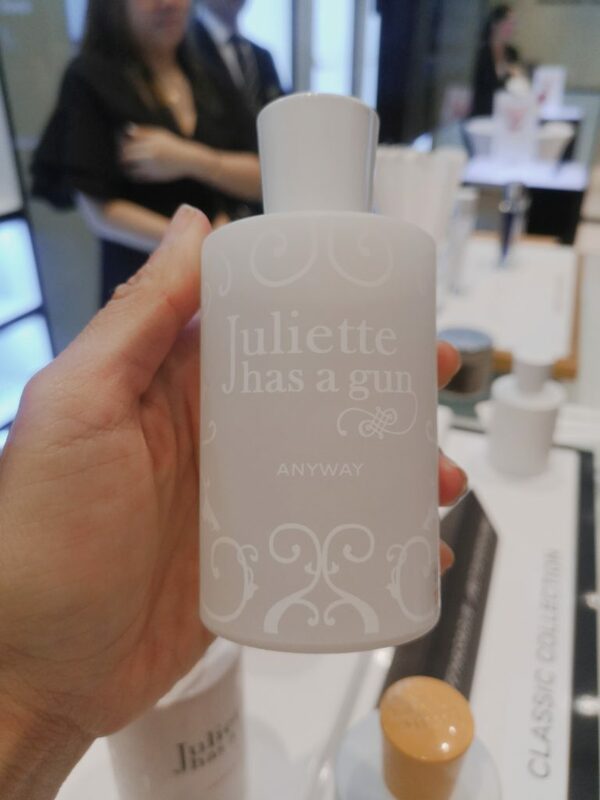 Juliette Has a Gun’s most popular scent. It’s aptly named Not a Perfume because it literally isn’t. It’s composition is a single molecular component called CETALOX. Cetalox is commonly used as base for other fragrances, but never on its own. Until today. 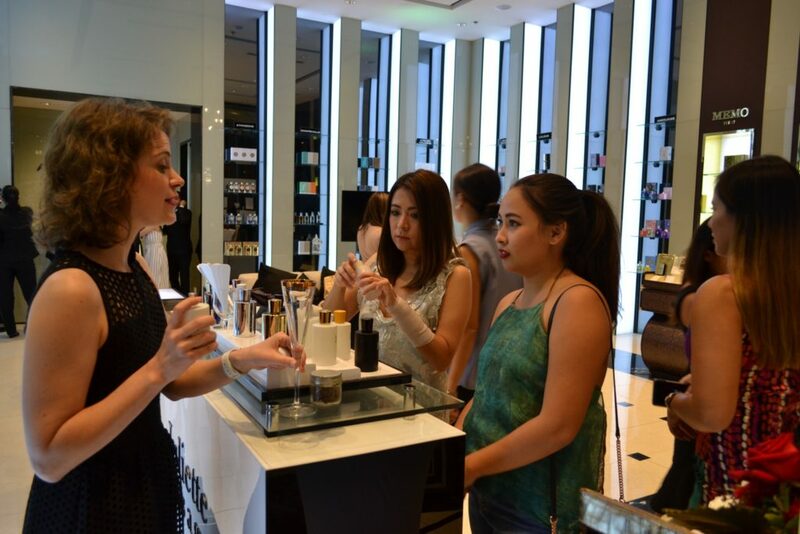 You can also use this as a “perfume base” to make your other scents last longer. 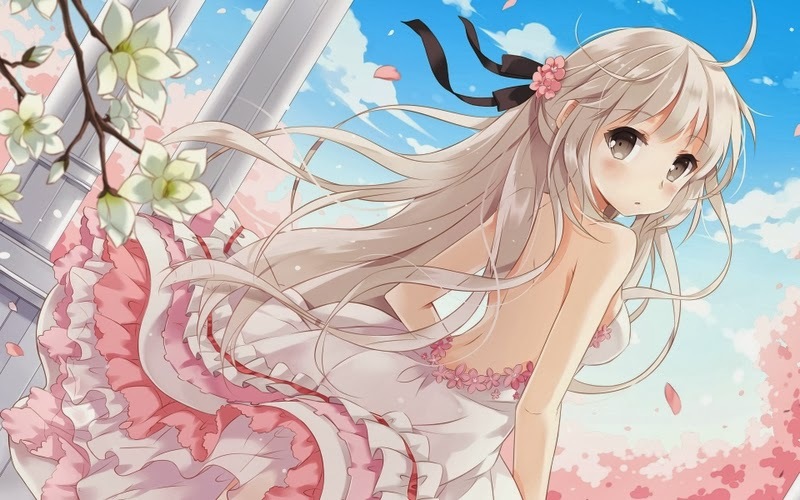 Its scent will depend on the person wearing it so result may vary. It smells like baby powder on my skin, mild and very close to the skin. Freshness, simplicity, softness, and carefreeness. It is described as quirky, outlandish, and nonchalant. The formula is simple and original – made from only 15 ingredients of musky – white floral and citrus. It can fit both men and women. The main top notes include neroli and lime. Jasmine dominates the heart, while the base is composed of musk, hedione, and ambrox. Last but not the least, a delicious gourmand. 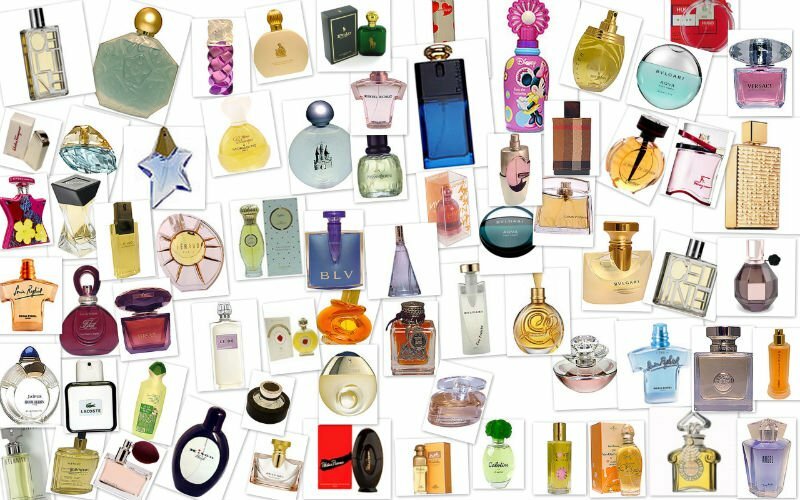 Neroli, raspberry, geranium, orange flower, jasmine Sambac, tuberose, iris, patchouly, sandalwood, salicilates. A delicious perfume with olfactive softness that pleases the senses. Sweet but not cloying. Just the way I like it! 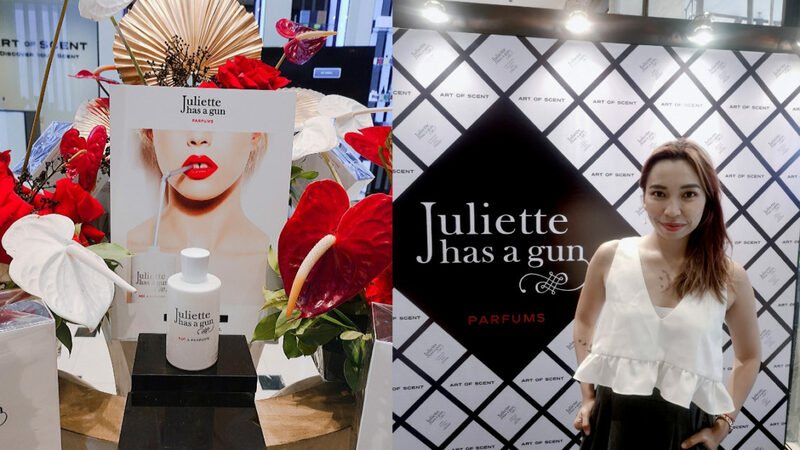 If you’re looking to stand out with a scent that’s truly yours, you should definetly try a bottle from Juliette Has a Gun (PHP 7,600 for a 100ml bottle) Available exclusively at Art of Scent!